The occasional hot summer in the UK is nothing new. There was one in 1976 and, as Booker points out, a particularly hot one as long ago as 1846. As usual the behaviour of the jet stream is a major factor. Yes it’s scorching, but claims that the heatwave is down to climate change are just hot air: June was even hotter when Victoria was on the throne, writes CHRISTOPHER BOOKER for the Daily Mail. There is at least one thing about this summer of 2018 on which we can all agree: the past months have unquestionably been swelteringly, abnormally hot. And not just here in Britain, but in many other countries right across the northern hemisphere. In the UK, our own heatwave began in May and has continued relentlessly ever since. In Japan, where one city claimed the highest temperature ever recorded in that country, topping 106 degrees Fahrenheit (41 degrees Centigrade), the heatwave has been declared ‘a natural disaster’. Meanwhile, wildfires in Greece have killed at least 80 people, leading to claims that this has been the worst disaster of its kind seen in Europe since World War II. 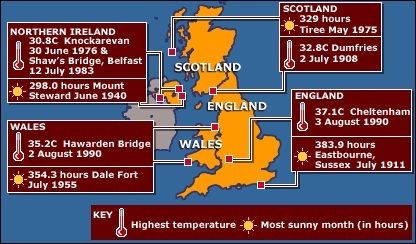 There have been numerous other claims of temperature records being broken, all the way from California to Armenia and Azerbaijan (although here in Britain we have not so far seen anything to equal the 101.3f — 38.5c — that was recorded near Faversham, Kent, on August 10, 2003). In March this year the UK weather was dominated by the Beast from the East. Now we get the other side of the coin. Booker is a voice in the MSM wilderness these days. You can bet people are working to get him ‘assimilated’ or silenced. As for the beast, well it’s actually a similar weather pattern responsible isn’t it? Except fortunately last winter it didn’t manage to get quite so stuck. Anyway, you know by now, every eventually is twisted to fit the CAGW theory, it’s not falsifiable. ‘the past months have unquestionably been swelteringly, abnormally hot’ NOT – If you live in the Inner Moray Firth area – Cold nights, late season frosts. Really messed up the fruit trees and bushes. Cannot understand that NO-one else is saying this. I’ve been looking at my Diary entries from 1975 &6: Up here, 1975 was hotter than 76. Yes 1976 saw our earliest Grain harvests in living memory, one farmer was in the headlines for several years for growing Maize – long forgotten around here. ….. Just rain rain rain – and then the sodden ground baked hard from mid May. …. Just as in Sothern Hemi. there are other extremes, so it should be appreciated that we get that here within the UK too. so much fake news grabbing the headlines. Meanwhile here in Brisbane,Australia it is our winter. We have had weeks of slow- moving high pressure systems giving us sunny windless days with average daily highs and well below average lows. I don’t know if it is related to the NH weather. The same will happen in the winter in the Northern Hemisphere, when the Atlantic stays cold. Winter in the northern hemisphere will be dry and very cold. 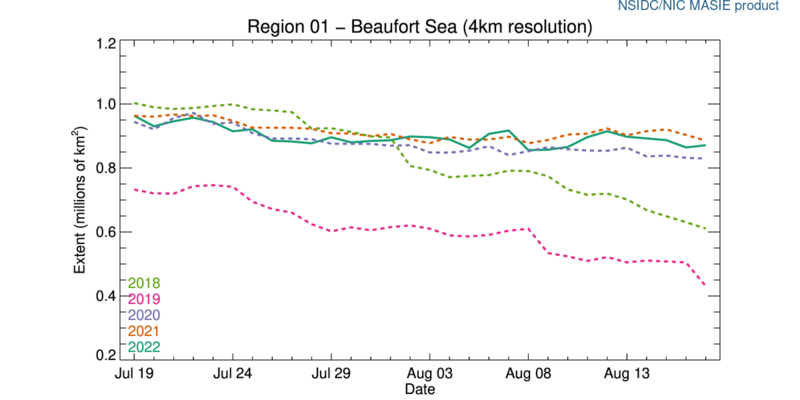 You can see, after the amount of ice in the Beaufort Sea, that winter will attack early in North America. You have to see the meridional jet stream over the Atlantic. Slight variations of galactic cosmic rays indicate on the solar minimum. Atlantic can not create a hurricane. Lots of rain on the East Coast of N. America near the Gulf Stream. Drought in UK. 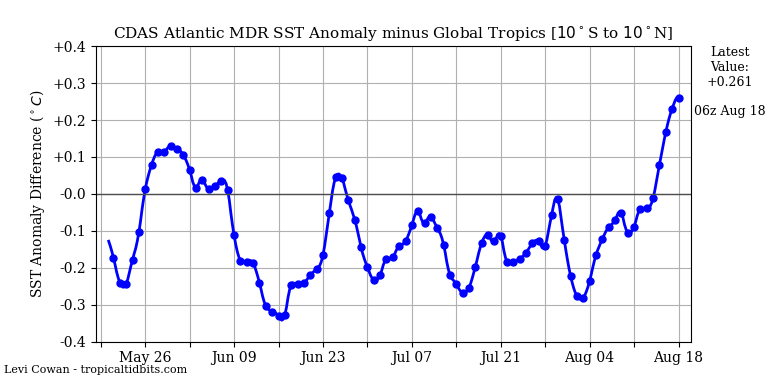 Any chance the Gulf Stream has slowed down and is just not delivering the usual hot water to make cold rain? Anyone know where to find Gulf Stream velocity and volume data that’s current? 2023 – AGW theory is considered a fraud by all but a few such as the likes of David, and others like him. My sister lives in London (Chelsea of course) and she informed me that the temperature hit 35 Centigrade today. Where I live in North Carolina the peak temperature was 32 Centigrade with low humidity and not a cloud in the sky. Sitting out in the garden with the wife and the dog soaking up UV rays. This is weather. It was weather in 1947 when I lived in South Wales. In mid February we had six feet of snow that lingered until the end of March, yet in July and August we had the hottest summer I can remember. Weather, not Climate. In the period of the sun’s minimum there will be extreme temperatures in summer and winter. This is due to the decline in the temperature of the oceans’ surface and the weakening of winds. This will reduce the amount of water vapor in the air that relieves temperature fluctuations. A dry winter in medium latitudes is a cold winter. That’s how it is now in Australia, where in the winter the minimum temperature has dropped this year. 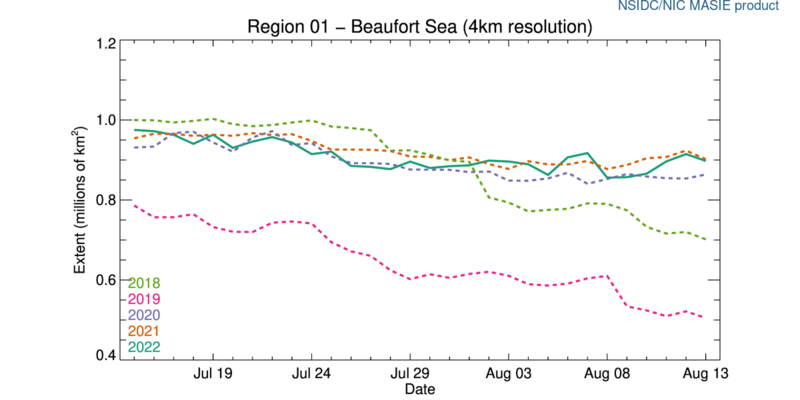 Researchers say a slower current will carry less heat down to the deep oceans meaning more will enter the atmosphere. Researchers ‘say’ many things, but that doesn’t guarantee they all work out. gallopingcamel says: It was weather in 1947 when I lived in South Wales. In mid February we had six feet of snow that lingered until the end of March, yet in July and August we had the hottest summer I can remember. ren says: In the period of the sun’s minimum there will be extreme temperatures in summer and winter. More jet stream blocking going on? 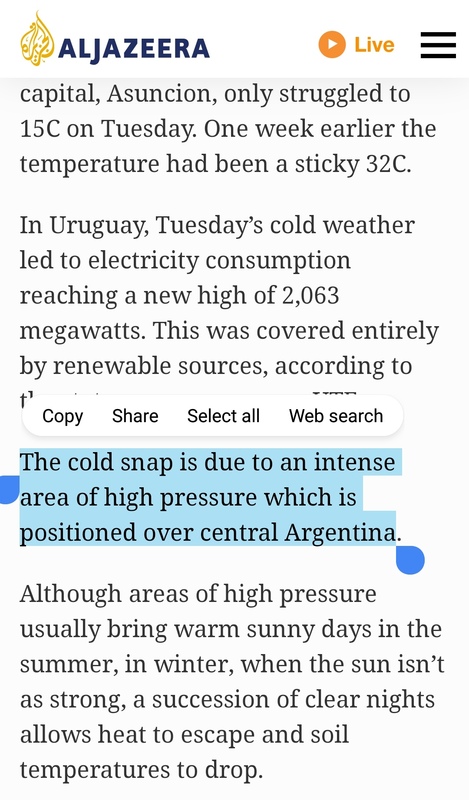 Related to approaching solar minimum? Hundreds of thousands of alpacas, llamas, and other highland grazers are getting ill, and many of them are dying, because of unusually low temperatures in Peru’s southern Andes. The animals that graze in the high Andes — particularly in Peru, Bolivia, and Ecuador — are used to the cold. But this year’s winter has been especially harsh in southern Peru with snow falls continually covering grasslands and freezing creeks. Blocking starts in the stratosphere. A strong solar wind transfers energy to the jet stream in the stratosphere, causing the jet stream 200 hPa accelerates and becomes a parallel. A strong solar wind transfers energy to the jet stream in the stratosphere, causing the jet stream 200 hPa accelerates and becomes a latitudinal. Comparing March 2018 to June 2018 in the UK [note: these are anomaly charts]. 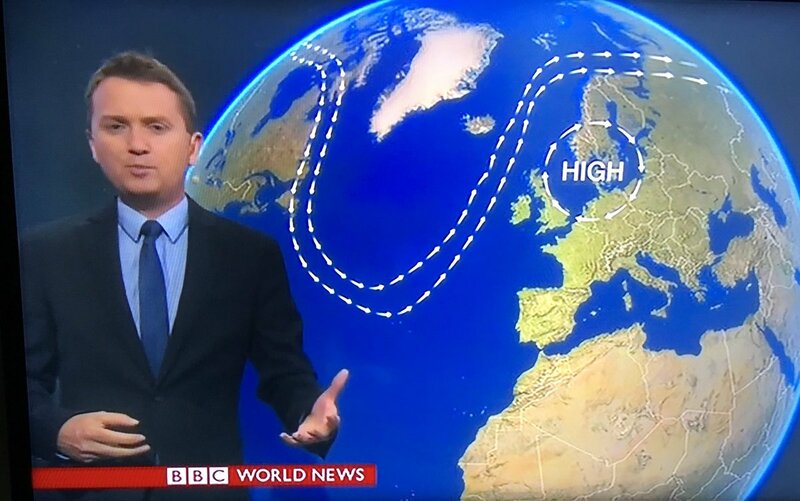 If this pushing of the jet stream southward is indeed linked to less sea ice over the Arctic circle, as Hanna suspects, then the signs are that we will see many more of these wet summers in future. The claim now is that if some unusual weather happens more often than before, or is ‘worse’, it must be attributed to ‘man-made climate change’. Doesn’t sound scientific at all. The climate deception goes on and on.